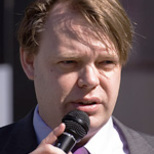 Rick Falkvinge is the founder of the Swedish and first Pirate Party. He has been named one of the top 100 global thinkers by Foreign Policy magazine, and shortlisted as one of the world's 100 most influential people by TIME magazine. 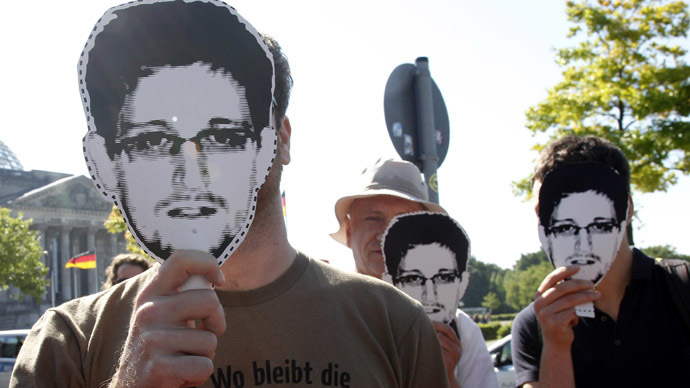 A year has passed since Edward Snowden started telling us what really was going on in the world. Since that date, various holders of power have been struggling - without success - to reclaim the control of the narrative, the control of the news flow. But in the age of the net, the power of narrative rests squarely with the many, rather than with the elite. People have become aware of mass surveillance, even if they haven't become aware of its full consequences yet. But the story is out. The proverbial cat isn't just out of the bag, but has left the entire city and is halfway across the continent. This hasn't prevented an ivory tower establishment from playing "no see, no hear, no speak" monkey games, pretending Snowden does not exist and that people don't already know what we know. Carl Bildt, the Swedish Minister of Foreign Affairs, has been one of the strongest proponents of NSA-style mass surveillance and trying to "control" the net - completely ignoring the fact that this necessarily means controlling (effectively eliminating) free speech. He's even gone on record stating that mass surveillance doesn't violate human rights because it is covert: as if security services don't violate people when doing so doesn't leave traces. Bildt's favorite alibi conference has been the Stockholm Internet Forum, which is supposed to be about net liberty and development in general. He has been inviting freedom activists from all over the world to show himself in their presence, trying to polish his image as pro-freedom and pro-liberty. However, his actions say the opposite: He has been negotiating spy deals with the United States at the same time. This year, the arrangers of the Stockholm Internet Forum suggested - naturally and obviously - Glenn Greenwald, Edward Snowden, and similar activists like Jacob Appelbaum as speakers. However, this did not sit well with Bildt. His Department of Foreign Affairs unceremoniously blacklisted them from speaking at the Stockholm Internet Forum, as reported by Cicero. The net generation that Bildt and his US allies seek so desperately to placate, even to represent, was not impressed. Furious would be a better description. The old guard in their ivory towers still seem to think that nothing has changed, and that they are free to seed or poison the news well at their leisure. Meanwhile, the world has discovered that it can do fine without the ivory tower power holders. In a telling ending to the story, almost every panel and presentation at the Stockholm Internet Forum commented on Greenwald's and Snowden's strange absence. As such, their civic deeds and service to liberty were more present than ever. Despite the wishes of the Swedish Foreign Ministry walking in the leash of the White House. In the end, truth will not be tamed, and holders of power are held accountable for violations against human rights. It is time to learn this for Bildt and his likes. One year since Snowden's first publications. A lifetime to determine whether we go to Orwell or liberty from here.